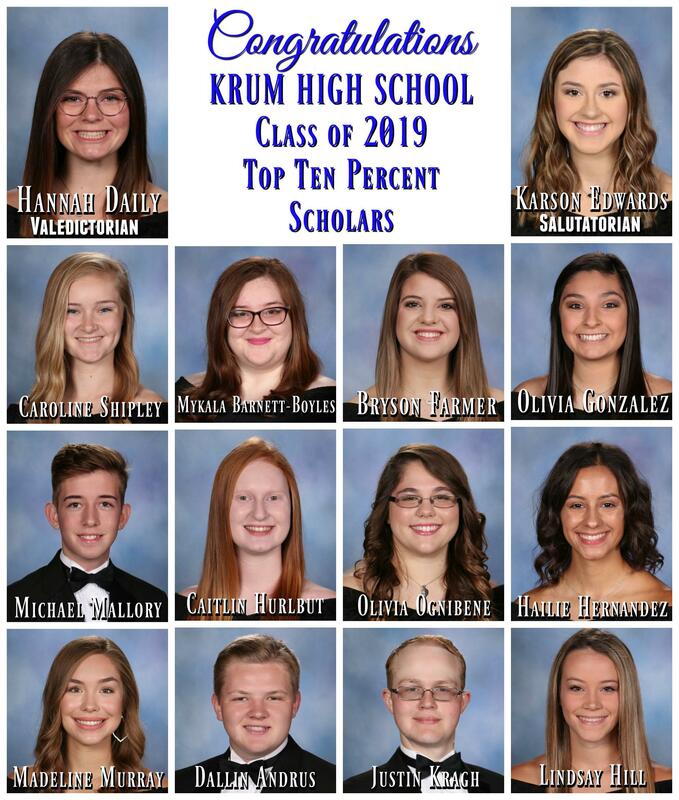 Krum High School has announced the Top Scholars of the 2019 graduating class. Valedictorian of the Class of 2019 is Hannah Daily. Karson Edwards is the 2019 Salutatorian. 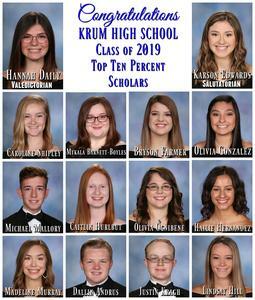 The following students are graduating with honors as top ten percent graduates: Caroline Shipley, MyKala Barnett-Boyles, Bryson Farmer, Olivia Gonzalez, Michael Mallory, Caitlin Hurlbut, Olivia Ognibene, Hailie Hernandez, Madeline Murray, Dallin Andrus, Justin Kragh, and Lindsay Hill. Congratulations to all of these students on their academic success. Krum High School Commencement Exercises will be held Friday, May 24, 2019 at 2:00 pm at Denton Bible Church.